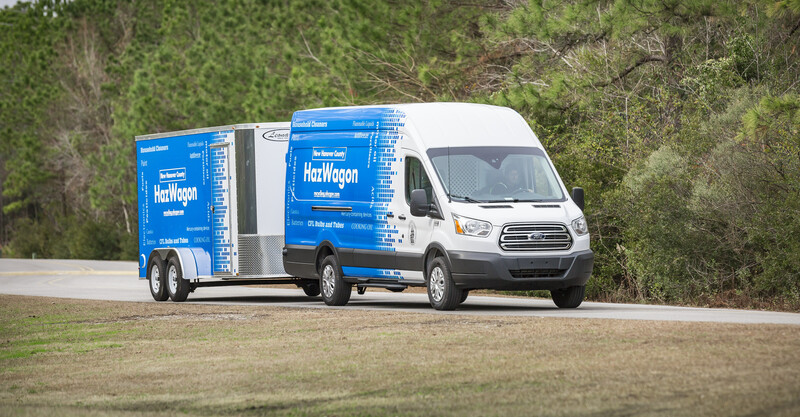 NEW HANOVER COUNTY, NC – New Hanover County is encouraging residents to safely dispose of toxic materials with its new mobile collection unit, the HazWagon. Beginning Monday, January 16, the HazWagon will be stationed at three different locations in New Hanover County to collect household hazardous waste and electronics free of charge. Mondays at the Ogden Park ball fields, from 10 a.m.-2 p.m.
Wednesdays at Wrightsville Beach Municipal Complex, from 10 a.m.-2 p.m.
New Hanover County Environmental Management partnered with UNCW’s Sustainability Committee to create the name “HazWagon.” Learn more about this new, free service here. View more pictures of the HazWagon here.